This 5th floor condo offers 2 bedrooms AND a full bunk room, so is actually a 3 bedroom that can sleep up to 8 people. 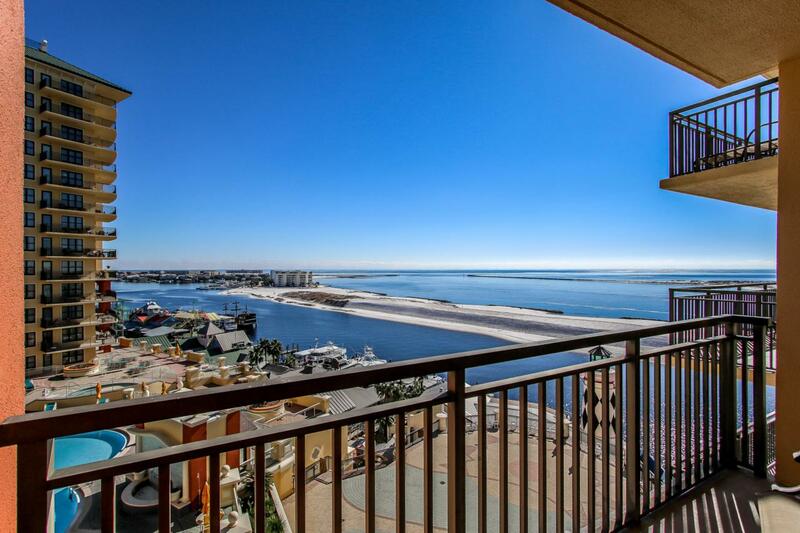 Views are a feast for the eyes, including Gulf of Mexico, Pass, Harbor and Pool. Located one stack away from the harbor AND on the 5th floor is a perfect height to afford these views from both balconies. This recently painted condominium has additional features that include, granite, 9 ft ceilings, crown molding, and stainless appliances. This unit has been placed on the rental program and is rental ready!